Zen Buddhism; Quotations, maxims, etc. 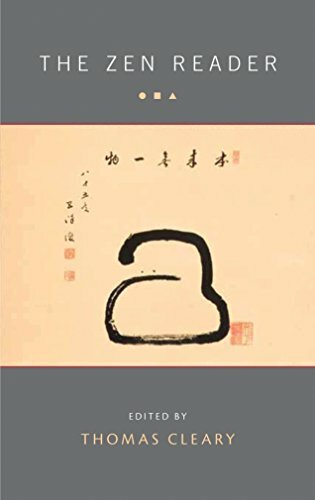 Amazon.com description: Product Description: Founded by Bodhidharma centuries ago in China, Zen and its teachings have since spread widely, exerting a tremendous cultural influence not only across Asia, but also the modern West. To this day, Zen inspires young and old, from all walks of life, to see the world with fresh eyesâbeyond our usual assumptions and prejudices. This compendium of a thousand years of Zen teaching presents the essence of the tradition through stories, sayings, talks, and records of heart-to-heart encounters with Zen masters. The great expositors of the tradition, whose voices are recounted here, encourage us to let go of our clinging and intellectual grasping, and to open ourselves to embrace reality exactly as it is.